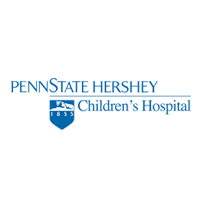 In March 2014, Penn State Hershey Children’s Hospital hosted a kickoff party to launch the Beads of Courage Oncology Program. This arts-in-medicine program allows children coping with cancer to record and tell their stories using glass beads as meaningful symbols of courage that they receive over time to acknowledge milestones in their treatment journey. The Palermo Heart-to-Heart Foundation was proud to stand with parents, siblings and Penn State Hershey nurses, social workers, physicians and Child Life staff as the financial sponsor for Beads of Courage. Children receive beads to mark any of nearly 40 occasions in their treatment, including a night spent in the hospital, an infusion, surgery, an ambulance ride, a test, a therapy session or a visit to the doctor’s office. The beads serve as metaphors that help a child derive meaning from their experience and help them connect to others in their life who might otherwise never comprehend all they have been through. “The Beads of Courage Program provides a way to honor and acknowledge the incredible courage that children facing serious illness demonstrate every day,” said Jean Baruch, founder and executive director of Beads of Courage, Inc.
Penn State Hershey Children’s Hospital is the first hospital in south central Pennsylvania to offer the Beads of Courage program. Though it is starting with cancer patients, the Children’s Hospital plans to expand the program to other treatment areas within the next year. Palermo Heart-to-Heart has announced it will support the addition of the NICU to the programs being offered through Beads of Courage. 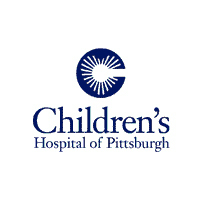 In 2013, the Palermo Heart-to-Heart Foundation was excited to announce the addition of sponsoring the Beads Hematology program at the Children’s Hospital of Pittsburgh. As the regional sponsor of the Beads of Courage program in Pennsylvania, it is our commitment to continue to identify other hospitals that can benefit from this program. We saw just such an opportunity at CHOP. Children being treated for hematology disorders at the hospital were wondering why they weren’t being given beads as other children were who were enrolled in the oncology program through the assistance of another sponsor of the Beads of Courage program. We decided these children needed the support offered through this vital program, so in the fall of 2013, our foundation sponsored the program that helps children who were diagnosed and were being treated for hematology disorders! 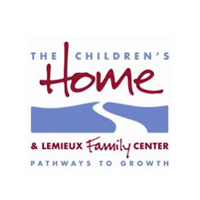 Also in 2013, the foundation toured the Children’s Home of Pittsburgh & Lemieux Family Center and saw firsthand the wonderful work this specialized hospital was doing for children from birth to 21 years of age. As we toured the facility we saw young infants who were born premature with medical conditions that required a stay in a neonatal unit in a hospital and the help their parents were getting in preparation for when they took their infant child home. Many of the staff here had experience at other hospitals that were administering the Beads of Courage program, and were hoping for the day their facility found a sponsor to implement it. This is where the Palermo Heart-to-Heart Foundation stepped in. Starting late in 2013 the Beads chronic conditions program started to allow these children to RECORD, TELL, and OWN their stories of courage during treatment for cancer and other serious illness. After searching for a way to touch the lives of more children through their philanthropic endeavors, the Palermo Foundation finally found just the program– on the CBS Sunday Morning Show, a story about a dynamic arts in medicine program was highlighted. After viewing the segment, members of the foundation called one another about this exciting program. It was decided to explore the possibility of forming a partnership that satisfies both our missions. This was the beginning of a relationship between the Palermo Foundation and Beads of Courage. We made an initial call to the founder and executive director, Jean Baruch, to talk how both our organizations could work together in affecting the lives of children afflicted with cancer. Previously our foundation had made wishes come true for a number of children and their families annually. It was through the guidance of Dr. James Powell, a Hazleton born pediatric oncology doctor, who referred children’s names to us he knew of who were in need of assistance that we picked and sent them on vacations of their choosing. In talking to Dr. Powell about the Beads of Courage program, he recommended we contact Geisinger Janet Weis Children’s Hospital to see if they were interested in our program. 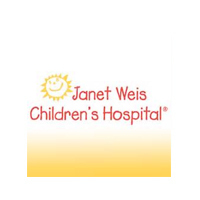 After talking to their child life specialist director, we were surprised to find out Janet Weis wanted to implement the program, but were waiting to find a sponsor. 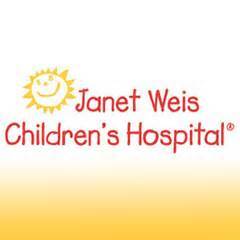 Once all the details were worked out, in November 2011 we held a kickoff event at the Janet Weis hospital to fund children enrolled in their oncology program. It was a day of watching young children getting their beads and stringing them together. The joy it brought only further convinced us that this was the program to be involved with. In the fall of 2013 we will be adding the cystic fibrosis unit enrolling children being treated for this breathing disorder. We also volunteer at Camp Dost, a summer camp held at Camp Victory for children with cancer. It is a satisfying experience to be able to play a small part in helping children escape the day-to-day realities of having this disease.